On March 23rd, 160 million Pakistanis around the world will be celebrating Pakistan Day – but only few of them know that it was Allama Dr. Muhammad Iqbal (born on November 9, 1877), the western-educated religious thinker, philosopher, poet and political visionary – who proposed a Muslim homeland in the Indian sub-continent in December 1930 during his presidential address at the Allahabad session of the All-India Muslim League. Two years after his death (April 21, 1938), the historic resolution, presented by a Bangla (the part of British India which became the East Bengal province at independence in 1947, then named East Pakistan and subsequently Bangladesh in 1971) Muslim leader, was passed on March 23, 1940, which is celebrated as the Pakistan Day every year. Allama Iqbal’s vision of an independent Muslim state for Muslims of British India – became a reality on Agust 14, 1947 under the leadership of Qaid-e-Azam Muhammad Ali Jinnah. Muhammad Iqbal was born in the city of Sialkot (now in Pakistan) into a Hindu Kashmiri family, whose ancestors converted to Islam. He received his Master degree from the Government College in Lahore (I myself studied there and also stayed in his Room # 4 in the Old Hostel). During his studies he was very much influenced by Shams-ul-Ulema Saed Mir Hassan and professor Thomas Arnold. He graduated from Trinity College, Cambridge University in 1907. Later he went to Germany and received his Doctorate from Munich University – for his thesis “Development of Metaphysics in Persia”. Iqbal began his literary career with the publication of “Ilmul Iqtisad”, an essay on economics in Urdu in 1903. His first poetic work was “Asrar-e-Khudi” published i 1915. His first book of poetry in Urdu was “Bang-e-Dara” published in 1924. His other poetry books include “Rumuz-e-Bekhudi” (1917), “Zabur-e-Ajam (1927), “Pyam-e-Mashriq” (1929), “Javed Nama” (1932), “Bal-e-Jibril” (1935), “Zarb-e-Kalim” (1936), and so on. In addition to his Doctorate thesis, Iqbal also wrote another book in English, titled The Reconstruction of Religious Thoughts in Islam. It was Allama Iqbal who convinced Muhammad Ali Jinnah – through numerous letters – to return from his self-exile in England and lead Muslim struggle for Pakistan. He also persuaded Sayyid Maududi to move from Hyderabad and establish his Islamic reformation work in Punjab. It was one of Allama’s devotee who donated several acres of land on which Sayyid Maududi built first Islamic centre called Darul-Islam near Pathankot (in India now). It was here that India’s Islamic party, Jamait-e-Islami was launched in 1940, which still operates in Pakistan, India and Bangladesh. Rahbar, Ayatullah Ali Khamenei is a great admirer of Allama Iqbal. 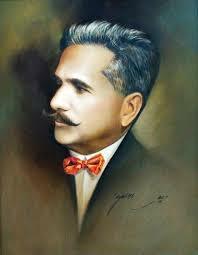 In the speech he gave at the opening session of the First Conference on Iqbal, held in Tehran, on March 10-12, 1986 on occasion of Allama’s 108th birthday – he paid glowing tributes – calling him “the poet-philosopher of Islamic resurgence”.